Facebook just unveiled its newly revamped news feed that uses a “mobile-inspired” consistent design across devices today at the company’s headquarters in California. Unveiled by Mark Zuckerberg himself, Facebook’s news feed update confirmed previous reports as having larger images, larger ads and a specialised topic feeds which allows users to drill into specific content. To be specific, Facebook has sorted out content into different section. First off is the All Friends feed that shows only posts from your friends in reverse chronological order. Second is the Music feed that shows what your friends are currently listening, new albums being released and recommendations of artists you like. There’s also a Following feed which is just a revamped version of the Pages feed that shows every post by Pages that you Liked, a Photos feed that displays photos uploaded directly to the site but also images from other networks such as Instagram. A games app is also provided which as the name implies displays updates on the apps that you and your friends play. Then there’s the Close Friends feed that shows posts from a specific set of people you tagged as close friends. Check-ins to places has also been improved on the site giving users a larger map to show people exactly where they are. Pinterest on posts to Facebook are now more vivid to better reflect the things a user sees on Pinterest. Videos also appear larger and in cases where multiple people share the same content, their faces will appear on the left of the post. Links shared will also have bigger blurbs to help users know what exactly the link is about. The chat box has also been moved to the right together with your bookmarks which increases more real estate for your content. The changes will start to roll out today and over the next weeks. Facebook plans to roll out the updates slowly and carefully in order to get feedback from users if everything is working fine or if there are bugs that needs fixing. 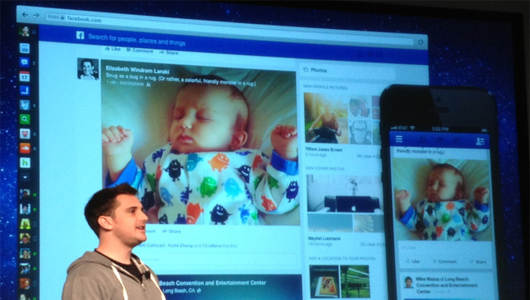 What do you think of Facebook’s new feeds? Tell us what you think by leaving a comment below. You can also find us on Facebook, Twitter, Pinterest and Google Plus. Don’t forget to subscribe to our site for other news and stories related to technology.